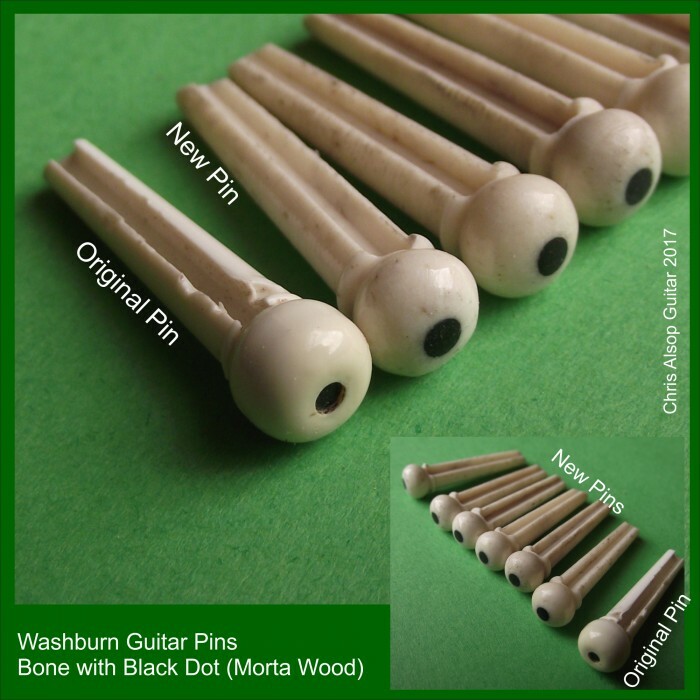 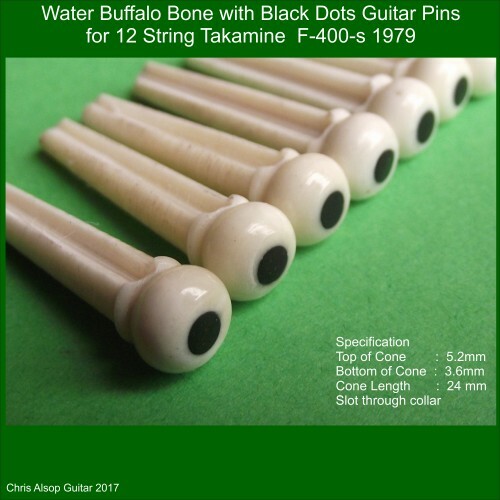 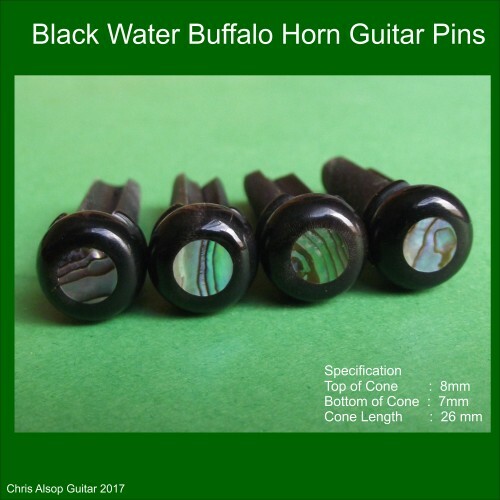 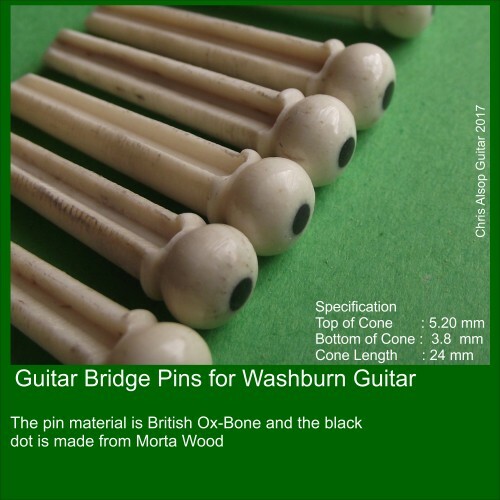 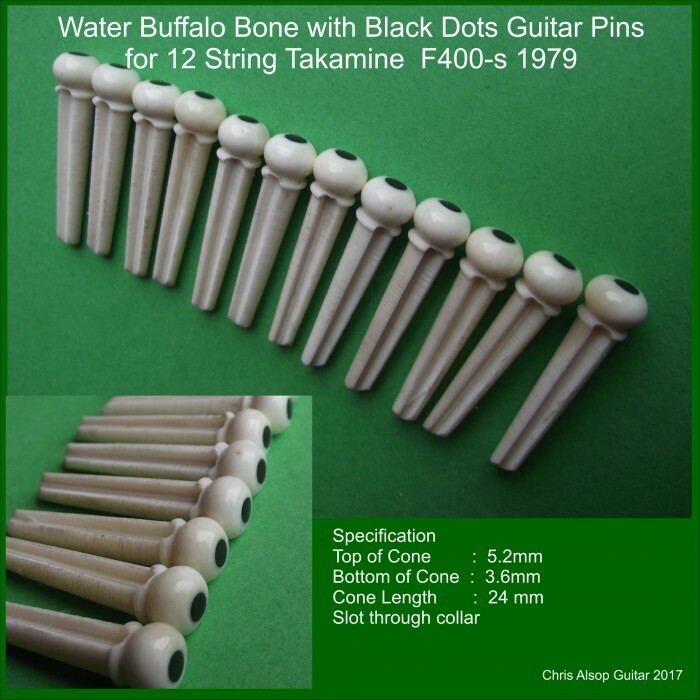 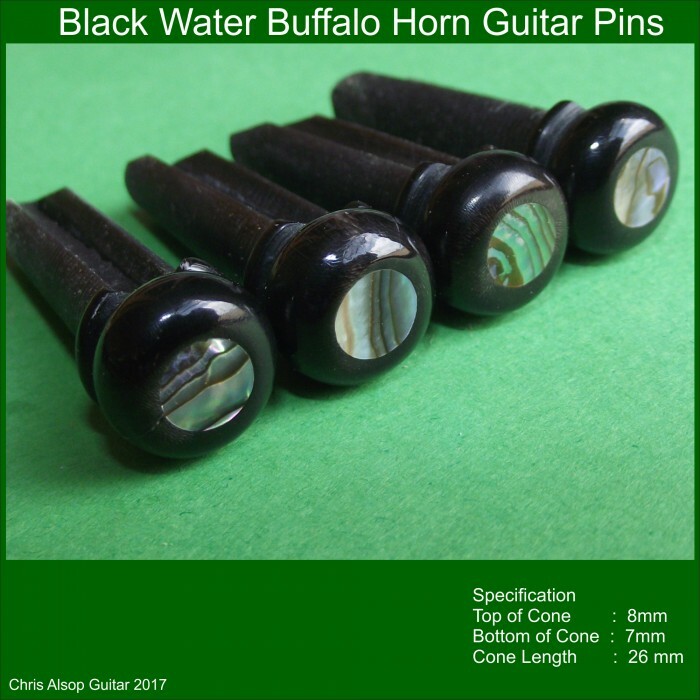 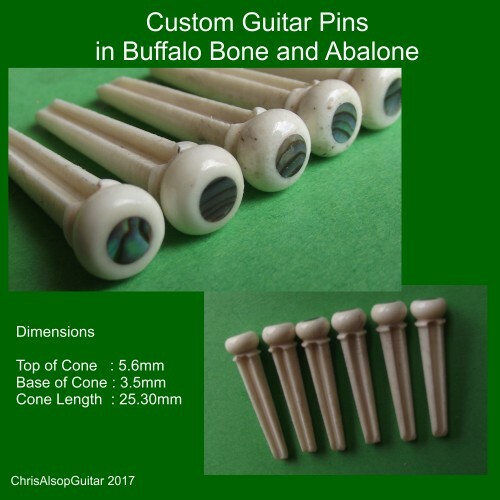 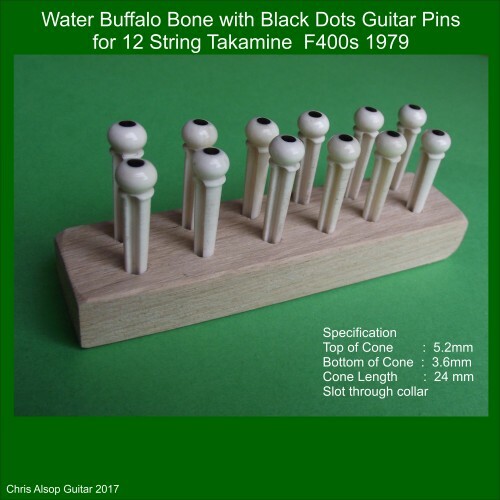 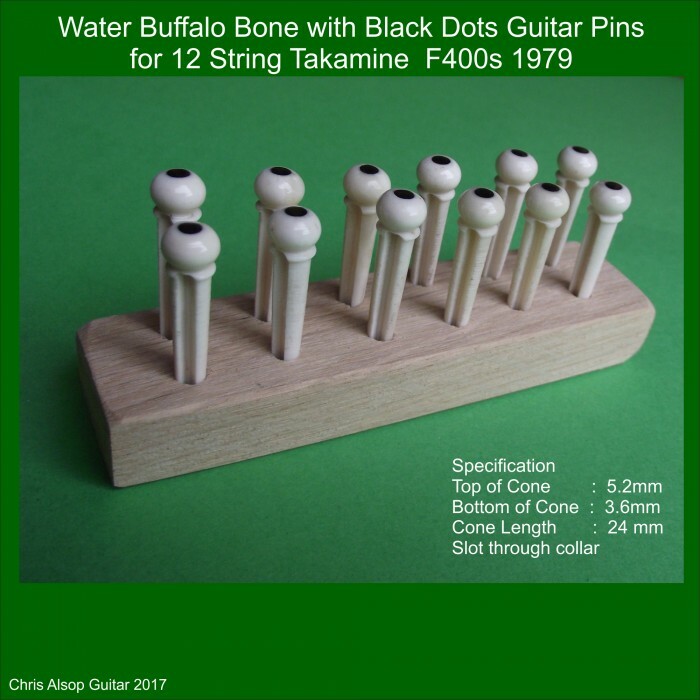 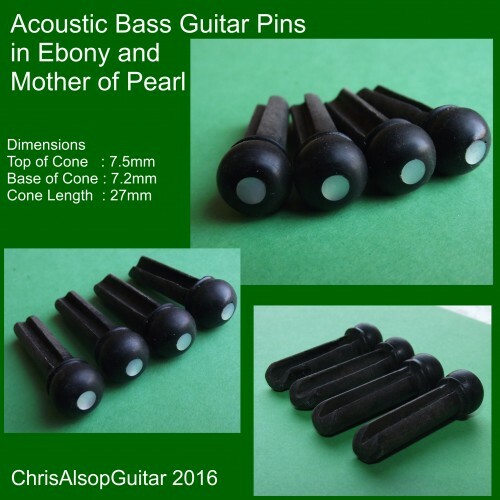 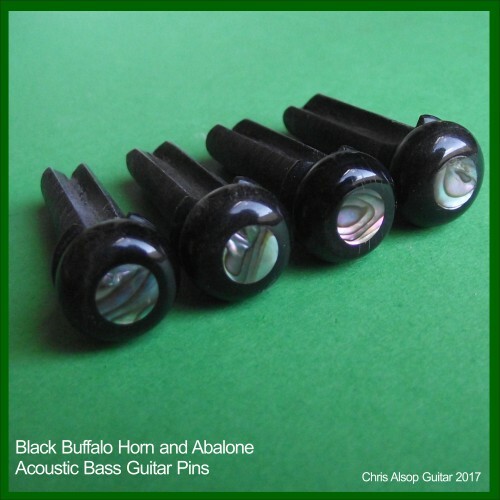 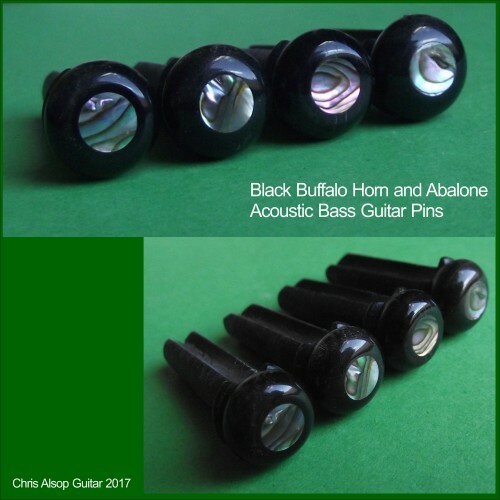 Custom made pins for an acoustic bass guitar. The pins have a slight taper along the cone being 7.5mm at the top fo the cone and 7.2mm at the base of the cone. 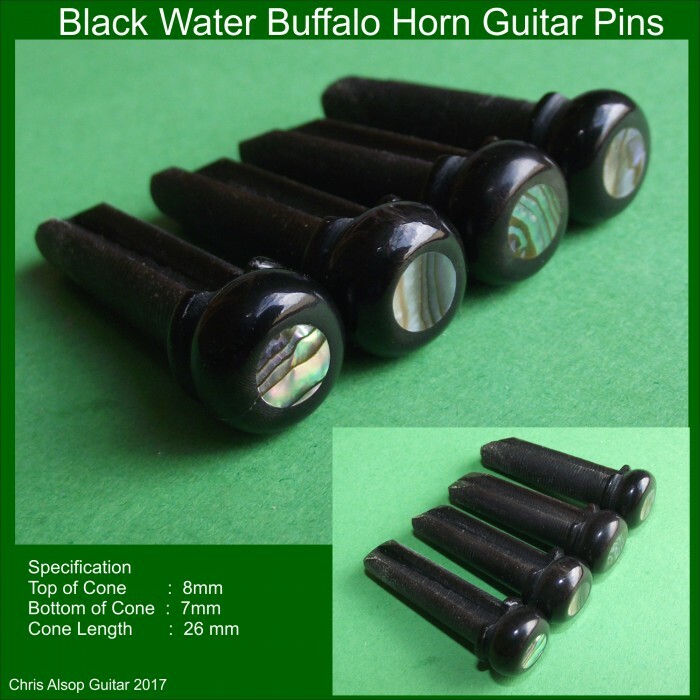 The cone length is 27mm. The decoration on these pins is mother of pearl inlay.